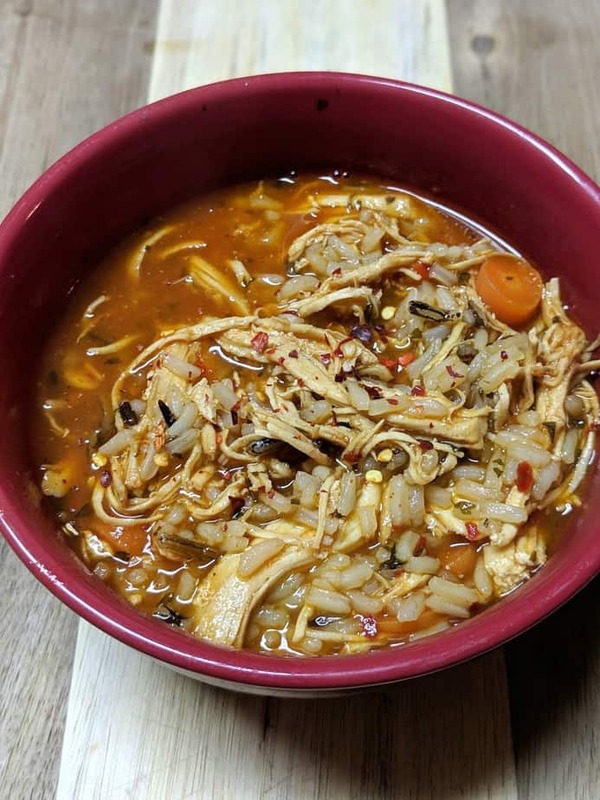 I’m excited about this Instant Pot Chicken and Rice Soup! The kids loved it, it’s filling, and it’s only 2 points (more about points later). 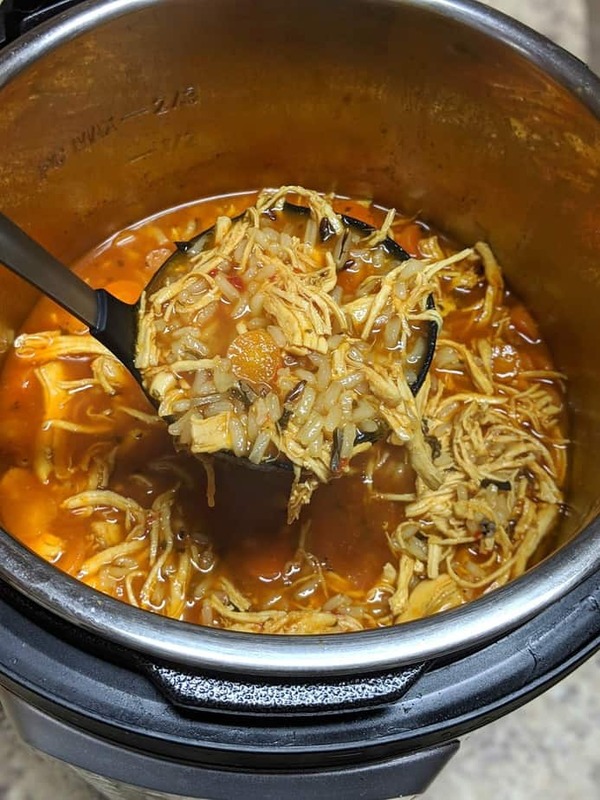 Cooking chicken and rice in the pressure cooker is an easy way to make dinner in a hurry. You don’t have to have a ton of time or energy, which is a bonus for me lately! This soup won’t break the points bank for the day, which makes me happy! 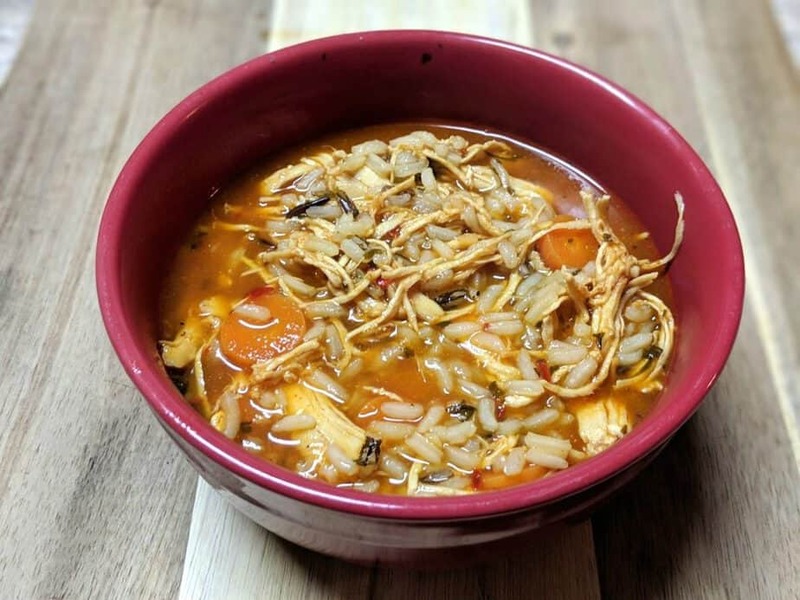 Weight Watchers chicken and rice soup can be as simple or as complex as you wish. Add extra zero point vegetables, kick it up a notch with some more spices, sprinkle it with cheese, and/or top with sour cream (or zero point Greek Yogurt mixed with some seasoning to make it taste better). The possibilities are endless with this one! If you follow the Freestyle program, this recipe is 2 Freestyle SmartPoints per serving. The entire recipe is 14 SmartPoints. The only ingredients that add points are oil and rice. And yes, the oil is a must when sauteing in the Instant Pot. The servings are big but not exact, so just divide into 6 somewhat equal servings. Add carrots and celery, saute until tender, another 5 minutes. Note: We make our own tomato paste by blending fresh tomatoes and garlic in the blender. If you use canned tomato paste it may add a point, depending on which one you get (there are no sugar added varieties). 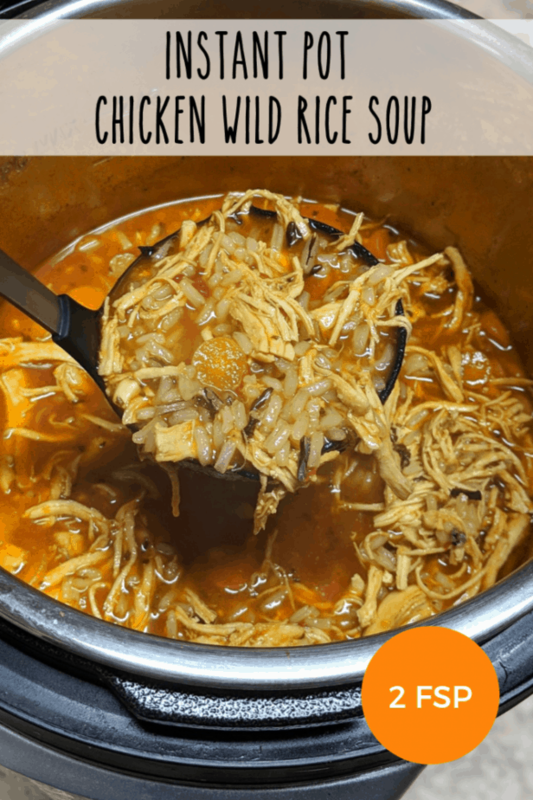 You can make chicken and rice soup in the crockpot as well! 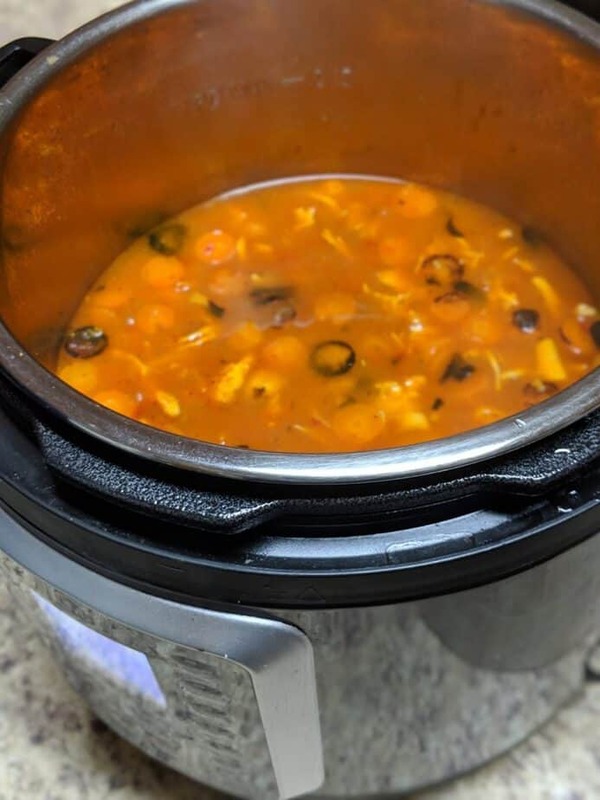 Dump all ingredients except rice in the Crockpot and cook on low for 4 hours. If the chicken isn’t already falling apart, shred it about an hour before it’s finished, if you can. At that time (an hour before the 4 hours is up), stir in the rice. Be careful not to overcook the rice or it’ll turn to mush. I have other dinner recipes on my site that I’d love for you to check out and/or pin! So sorry about that, Terry! I fixed it. 6 ounces. We make our own and don't count points because it's just fresh tomatoes and garlic, but if you use tomato paste in a can look for the no sugar added varieties and/or scan to make sure it doesn't add too many points.